The signs of aging sure can be fun sometimes! Your body starts to ache and your appearance starts to change oh so slowly through life. One day you may feel like 20 and the next day you may feel like 60. Thankfully we are able to hide some of the signs of aging. I’m getting close to 40 so you know I’m always on the lookout for all types of anti-aging products to help me feel as youthful as much as possible. I’ve gained a lot of weight this past year so of course my New Year’s Resolution is to lose some weight. Yes it’s the same old resolution that most people tend to face but eventually just end up neglecting their resolution. I plan to take it slowly and not just dive into it. Taking it too fast can possibly be bad on your body and even make you feel worse. This is just one of my resolutions for the New Year. I’m going to start focusing more on myself this year and I will be on the lookout for any existing or newly released products that may be a perfect for me. I’m sure I’ll be spending lots of time finding the perfect products that I want but I’m willing to give it a try. Again, if I take it slowly and choose to look for only one or two things to help me accomplish my needs, I’m sure to be a new and improved me way before the end of this year! So in addition to my weight lose journey, I’m on the lookout for two facial products. I’m needing one product to help with dark circles. This will be my next mission but for now I’m wanting something to help with my fat neck. NeoStrata has been one of my favorite beauty product for the past couple of years. So I decided to give the NeoStrata SKIN ACTIVE Triple Firming Neck Cream a try. This cream comes in a 4.5” tall bottle with a removable top and large pump. The bottle contains 2.8oz of cream which will last a good while. I’ve been using the cream for a month now and I still have a lot left in the bottle. 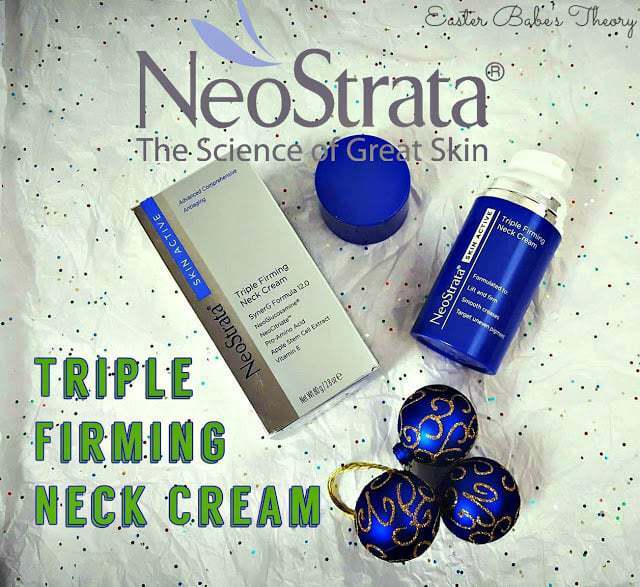 The NeoStrata SKIN ACTIVE Triple Firming Neck Cream is extremely easy to use. Simply pump out a small amount of cream and gently smooth over neck and decolletage twice daily. I prefer to use this as soon as I get out of the shower in the morning while I’m lotioning down the rest of my body. I tend to neglect my neck area so this cream helps to remind me to focus on that area. For my second application, I like to wait at least 30 minutes or so before going to bed so the cream has time to completely dry. It really doesn’t take long to dry at all. It’s the consistency of a hand cream and leaves your skin feeling extremely soft. I absolutely love that it doesn’t have a strong scent to it. In fact, I don’t think it has a scent at all. It hasn’t irritated my skin or given me headaches like some other beauty products do. As I mentioned before, I did gain some weight this past year so some of my sagging neck has to do with the weight gain. The other half is just due to aging. While I’ve only used this product for 4 weeks, I can see some difference but nothing huge yet. I just love how it moisturizes my neck area daily which simply helps with anti-aging. It leaves my skin feeling super soft and helps to diminish the fine lines in the decolletage area. You won’t immediately feel the cream tightening your skin, but overtime you will be able to actually feel and see a difference. I can’t wait to see my results after another month of use. I’m sure this bottle will last me at the least 2 months, if not longer. 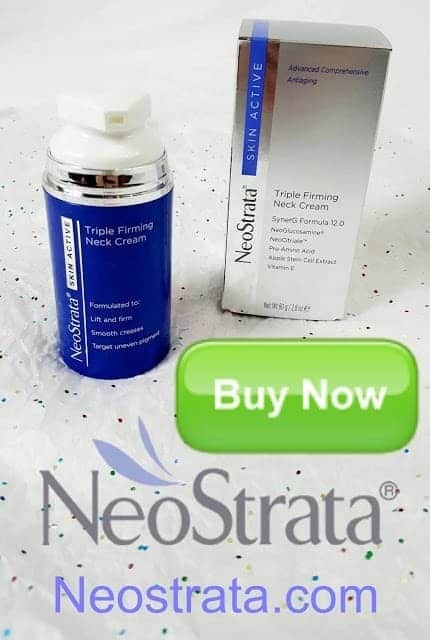 I think this NeoStrata SKIN ACTIVE Triple Firming Neck Cream is a great precaution for anti-aging and it’s also a perfect beauty product to use during your older aging years too. It’s never too early to start using anti-aging products to help you stay radiantly youthful no matter what age you are. This post is sponsored by BrandBacker and NeoStrata Company. I received this product in exchange for sharing my honest, unbiased opinion. Regardless, I only recommend products or services I use personally and believe will be good for my readers. 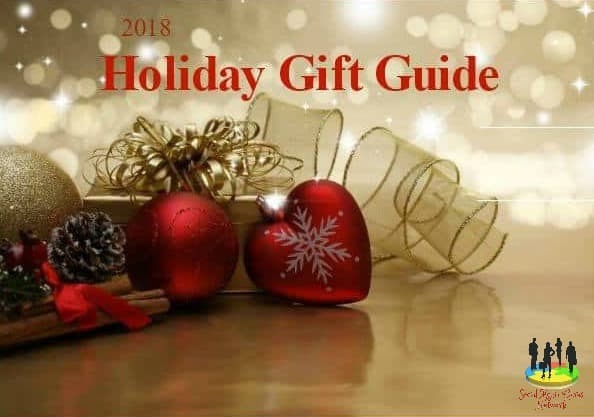 This post may contain affiliate linking. I use aging creams occasionally but I have never thought of using a neck cream. Every bit of intervention for later is worth it. I have tried and love Neostrata products and you can feel the quality of them as you apply and use them!! I think the neck and hands tend to get neglected in the skincare regimen. This sounds like a good product to add to it. I'd love to try this line. Thanks for posting! Great review. I need to try these products. Thank you for sharing. Getting older sure plays not so funny tricks with my skin. I could use some help. This is exactly what my skin needs! I just turned 51 and I’m noticing my skin just doesn’t have that healthy look and feel as it once had. I believe Neostrata could bring my skin back to it’s better days. Thanks for this review! I need to find this. sounds much better than other stuff I use. I will definitely be trying this seeing as how I will be turning 44 in July.